Personal tragedy during the early years of Mother Teresa’s life was the main reason why she traveled to India to serve the poor, according to new research. Dr Gëzim Alpion, from the University of Birmingham, claims that her father’s poisoning by Slavic nationalists when she was nine in 1919, marked the beginning of Mother Teresa’s attempts to replace him with Jesus, a divine father, and the start of her lifelong doubts about the existence of God. He also contends that such painful experiences, together with her brother’s association with Benito Mussolini’s Fascist army, and her concern about the safety of her mother and sister in communist Albania post 1945 caused her to never speak about her private affair. Expanding her work outside India from 1967 on wards. 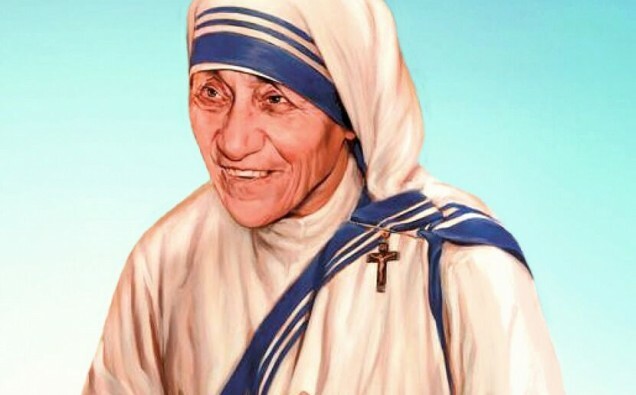 Dr Alpion claims that Mother Teresa’s projects in Australia in 1969 began as another attempt to escape her spiritual desolation as she began to realise that it was an incurable condition. Some of these findings are included in Alpion’s latest study titled ‘Why are modern celebrity icons absent in celebrity studies?’ which has just been published in Celebrity Studies Journal (Routledge). Alpion finds the side-lining of spiritual personalities in celebrity studies bizarre given that the spread of celebrity culture has led some scholars to approach this modern phenomenon as a form of religion as well as because, like everything else, religion has been affected by celebrity culture. In this study, Alpion announces for the first time the existence of a hitherto unknown member of Mother Teresa’s family in Australia, a first cousin who was adopted by the nun’s mother as an orphan at the age of six, something he initially discovered during a visit to Melbourne in 2011. Since then Alpion has been using the information from this and other new sources to write the study provisionally titled Rooting Mother Teresa: The Saint and Her Nation, a monograph which will be published by the end of 2019. Next year, Alpion will complete a book about Mother Teresa’s forgotten sister in Australia. In his acclaimed 2007 monograph Mother Teresa: Saint or Celebrity? Alpion probed into the nun’s early years. He looked into the life of Agnes Gonxhe Bojaxhiu, as she was then known, in order to examine the origins of her religious devotion and charity work. Mother Teresa, also known in the Roman Catholic Church as Saint Teresa of Calcutta, was an Albanian-Indian Roman Catholic nun and missionary, born in Skopje (now the capital of Macedonia) in 1910, then part of the Kosovo Vilayet of the Ottoman Empire. After living in Macedonia for 18 years she moved to Ireland and then to India, where she lived for most of her life until she died in 1997. Is your dog keeping you in top form?